December 24: Took this picture around 12:30 AM. 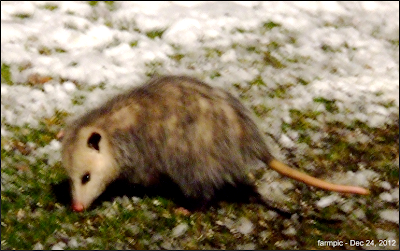 Never saw a possum under the bird feeder on Christmas Eve before. And a red nosed possum at that. Merry Christmas and Happy Holidays.